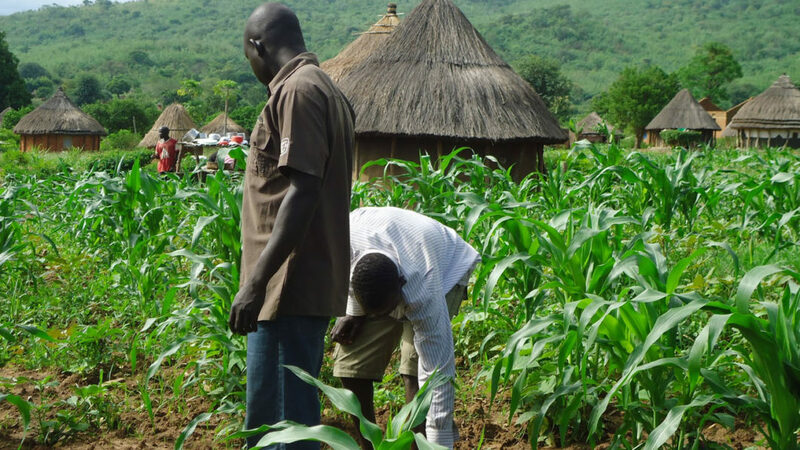 United States Africa Development Foundation has invested over N8.64 billion ($24 million) to boost capacity of farmers across the country. Speaking at an Agriculture mini-fair, organised by the foundation in collaboration with Diamond Development Initiative, stakeholders in the sector, including the U.S. Ambassador to Nigeria, Stuart Syminton, Executive Director, Diamond Development Initiative, Adamu Garba, President, United States Africa Development Foundation, C. D. Glin, Chairman of the Foundation, Jack Leslie, said Nigeria must improve agricultural sector to meet food security in the face of growing population. Syminton noted that the country must take advantage of youths and women population to grow the agricultural sector.He stressed the need for the sector to not only export raw materials but ensure that the products are processed; adding that by so doing the sector would transform more lives. Glin said the foundation is committed to the development of the sector in Africa, adding that agriculture is key to economic development of the continent. “Everything we do here is led by Nigerians. We have commitment to Agriculture. We strongly believe that one of the key drivers of Africa’s success and Nigeria’s success will be in the agricultural sector.”He also noted that the efforts to diversify the nation’s economy would remain elusive if the agriculture sector is not prioritised. Garba said: “USAID has invested over $24 million so far in the project.”Garba said continuous efforts toward improving agriculture as well as necessary actions and policies would increase productivity and boost food security. According to him, the purpose of the exhibition was to showcase agricultural across Nigeria, which were funded by the U.S. foundation through the local partner, which provides mentorship, management as well as monitoring of the project. “Most of these people are engaged in production but the assistance we provide does not stop at production alone. We take it a step further, we provide them with machines that they can use to do some processing and as value to the products and get more income,” Garba said. He said the farmer, who are divided into cooperative societies would be able to access more opportunities, particularly more markets for their products through the exhibition.The fair showcased leather works from Zaria, Garri from Ikara in Kaduna state; improved local rice from Kebbi State; refined palm oil and fish feeds among others.